The craft beer ethos is pretty much the polar opposite of franchising--create something unique, difficult to reproduce, locally focused and, often, ephemeral. In many cases, brewers who could easily scale up to national distribution choose to stay small in order to maintain quality control and develop strong regional relationships. So it's interesting to note that there's a craft beer boomlet happening in franchising. Despite the differences between the beer world and the franchise world, the industries have turned out to be a good match, reinforcing a long-held truth: With beer, anything is possible. That's something Scott Zepp of Pensacola, Fla., can get behind. After coaching high-school baseball for five years (and taking his team to the state championships), Zepp was looking for a new challenge when, in 2004, Hurricane Ivan decimated his home. He saw it as a good time to start over, so he cashed in his 401(k), moved to Tampa and opened a liquor store with his best friend. He promptly began hemorrhaging money. Luckily, a local businessman bought the store and hired Zepp as a manager. And that's when the beer bug really hit him. "I developed a passion for home brewers and local brewers," he remembers. 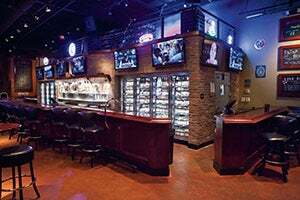 World of Beer offers some 30 rotating taps and 500 bottled brews. After helping expand the store's beer selection, he moved on to an apprenticeship at another retailer with hundreds of craft beers, where he honed his taste buds and developed a plan for a laid-back bar with a massive selection. Zepp thought that since exposure had turned him into a beer geek, he could get others excited about quality brews as well. In 2007, with friend Matt LaFon, Zepp opened World of Beer with 30 rotating taps and more than 500 bottled brews. It was a risky move. "We both came from really humble beginnings, but both our parents put up their houses to help us start the original concept," Zepp says. "It was the coolest thing anyone has done for either of us. We had our backs up against the wall, and failure was not an option." Six years later World of Beer has 44 locations in 14 states and has sold a couple hundred more. As a franchise, it has taken off not simply because Americans love beer--consuming about 21 gallons per capita in 2012, according to the Beer Institute. It's also because Zepp and LaFon have, for the most part, stripped out the kitchen, which greatly reduces overhead and lets franchisees keep their focus on the taps, not on having to run a restaurant. World of Beer is not a bar and grill--it's a taproom with snacks. "I always say, the beer pulls customers in, and the people keep them there," Zepp says. "You go to work, you go home, then you go to World of Beer and have a good time and hang out with friends." Richard Reeves, a veteran restaurant franchisee who owns seven World of Beer locations, remembers the first time he visited one of the taprooms and saw customers sitting around a pizza box. "When I figured out the pizza came from somewhere else, I said, 'This is a great idea!'" he recalls. "Old restaurant guys wouldn't have figured it out; it took a couple of young guys who didn't know they couldn't do that stuff. A serious restaurateur wouldn't have been able to conceive a franchise like this, without table service. But the lack of food is the catalyst that really got me involved." 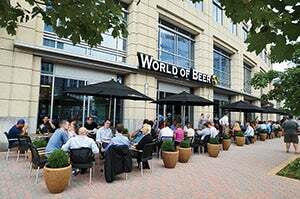 As it grows, however, World of Beer has decided that a small selection of simple food items, as well as craft spirits, is necessary to build sustainable unit economics. CEO Paul Avery says he is slowly rolling out a 17-item, beer-centric food menu, all items under $10, including beer-battered shrimp, flatbreads and sandwiches. He also is experimenting with a line of beer cocktails. "We'll have things like a classic margarita made with an IPA, or a blueberry cosmo made with a wheat beer," he explains. "What food and cocktails do is broaden our appeal." Another Tampa-based beer-centric franchise, The Brass Tap--with 11 locations and about 40 more in development--also keeps its food offerings light. It's a model that franchisees who are concerned about having to manage a full kitchen can appreciate. "From a franchising standpoint, the unit-level economics make this a very attractive investment for people," says James Walker, The Brass Tap's chief development officer. "We opened a couple of stores with a limited menu offering, and they're doing about 20 percent food. Serving food has a place, but we'll never be a restaurant. The food is there to support the beer." Of course both concepts pay close attention to their beer selections, focusing heavily on local and regional brews--a must to maintain credibility. "We carry craft beers from around the country, but we strive to support the local beer scene as much as possible," Walker says. "At our Carrollwood location we have 60 beers on tap, 15 of them from Florida. At Round Rock we carry 22 beers from Texas. It is more difficult to deal with local breweries, but it's worth the effort. Fostering relationships with breweries and distributors and educating franchisees on how to do that is core to what we do." Zepp admits that local brewers can be skeptical about working with a franchise, but that changes once they see the World of Beer operation. "We've had nothing but good experiences with local brewers and distributors," he says. "Our focus is to come in and promote local breweries. Once they understand how important local craft beer is to our concept, and that we'll do anything to support it, they're very receptive to us." Also helping improve street cred is World of Beer's commitment to live music, which Zepp considers another pillar of the company's culture. Local artists and emerging national acts perform regularly at the taprooms. "We're really about spreading craft beer culture and spreading live music," he says, adding that he hopes the company can be a steppingstone for young, local talent. "I think World of Beer can almost act like a farm system for music. If they're good enough, then they'll be able to go to other WOB locations and showcase their talent. It's a tough industry, and we want to help artists. We're all about that." While craft beer represents only about 6.5 percent of the value of all beer sold in the U.S., according to the Brewers Association, it's one of the fastest-growing segments. There's plenty of room to create new converts, and educating people about beer is a key part of the franchise concepts. "At The Brass Tap, we certainly appeal to die-hard craft aficionados and beer geeks," Walker says. "But our service team can take someone who is a Bud drinker and educate them, basically selling them on much higher-quality beers over time. If a light-beer drinker comes here in early January and asks for recommendations, we'll teach them, and a year later they'll be drinking darker, heavier, more unique beers than they ever thought they would." Suzanne Schalow, co-founder of Craft Beer Cellar, believes education is the foundation of her Belmont, Mass.-based franchise. The company not only offers customers classes on beer tasting and styles, but franchisees must be certified as cicerones, the beer equivalent of a wine sommelier. Even more important, they must be enthusiastic and willing to share their knowledge. Now, with six locations in Massachusetts and Vermont, Schalow hopes to spread the gospel of good suds. Schalow admits she was uncomfortable initially pairing craft beer with franchising. "We have a laid-back franchise model," she says. "It's very important to us that we don't have a cookie-cutter feel. We're not trying to be Subway. We want to carry good beer and have excellent customer service and amazing education. We don't want anybody to get into this solely because they want to have a successful business--that's almost secondary. Our first goal is without question to make sure we put great product out there in stores with people who know what they're talking about." Educating the public is getting easier as craft beer makes major inroads with consumers. According to the Brewers Association, there are 2,500 breweries in operation in the U.S., and 1,500 more on the drawing board. It's likely that craft beer's momentum will take a much bigger piece of the $99 billion U.S. beer market in the coming decade. "Craft brewing has reached some sort of critical mass," Schalow argues. 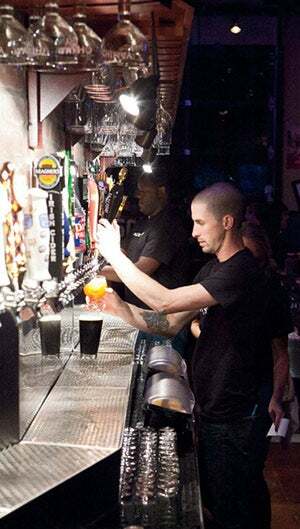 "Businesspeople are realizing that if they want to be in the game, it's no longer acceptable to run a restaurant or bar without a substantial number of craft taps. If they don't, they're going to be left out in the cold." World of Beer CEO Avery believes the swing toward craft beer is generational. "Millennials and Gen Y grew up with tremendous variety," he points out. "When they go to a soda machine now, they get more than 100 choices. Coffee comes with dozens of variations. They grew up with tremendous beverage options; to them, it's the norm. It's transcended into beer as well: There's less brand loyalty, and they're significantly into experimenting with the menu." Zepp agrees. "Look at where we were in the early 1980s. There were 50 breweries in the entire country, and now there's over 2,500," he says. "It's a great time to be in the craft beer industry, and we're here to help spread the message. People in my generation have woken up to the art of craft beer and are open to different options. I don't think it's even close to reaching its peak. It's such a fun industry, and people are just now learning about it."